Calgary Canada weather - very interesting indeed. Look at the Weather Network Calgary Canada weather forecast and we'll compare forecasts with the Environment Canada Calgary weather forecast. They are the two major Canadian forecasters. We find their predictions often similar but rarely identical. They provide unique maps and graphics. Here are predictions from two USA forecast services to compare. See the Weather Channel 10 day forecast first. Use the metric units radio button under the forecast listing to get Celsius temperatures if you prefer. Accuweather gives a 15 day Calgary Alberta weather forecast with Celsius temperatures by default. Wanna dig a little deeper? The Calgary Canada weather satellite and radar images will give a more complete picture. To view the cloud patterns, look at the most recent satellite photo or animation, or read about satellite imagery. Use radar to find out where it is raining or snowing near Calgary right now. Read a bit about radar equipment and displays. 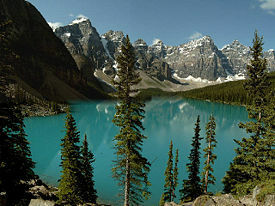 Overall the climate of Calgary is dry so any densely grown vegetation is largely restricted to the river valleys and within Fish Creek Provincial Park. This is the largest urban park in Canada. Calgary is quite a big city. Actually it is the largest city in the province of Alberta. In addition, Calgary is Canada's third most populous municipality, within the city limits on the Calgary map. And it is the fifth largest Census Metropolitan Area in Canada. Calgary economic Region involves somewhat more than the CMA and has a population of 1,146,900. The city limits are surrounded by Rocky View No. 44 to the north, west and east, and Foothills No. 31 to the south. Okotoks is not officially in the Calgary metropolitan area but still a short distance south, along with High River, Black Diamond and Turner Valley. Due to steady growth, the Calgary map is adjacent to the Tsuu T'ina Sarcee First Nation reserve near the city's southwest border. These places all share the same Calgary Canada weather. 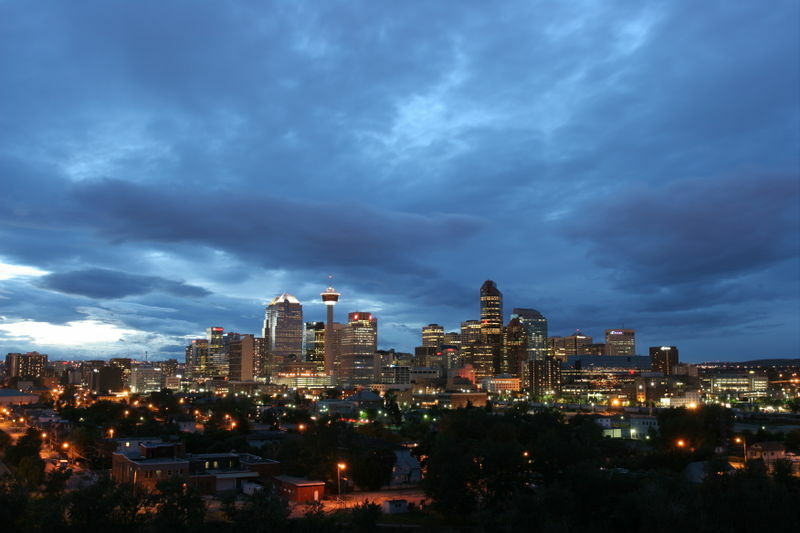 Calgary is home to high continental temperate climate with short-period warm summers and cold winters, even though Calgary Canada weather is not considered to be very cold by national standards. The climate of the city is directly affected by its latitude, altitude and its proximity to Rocky Mountains. Winter can suddenly get quite more comfortable at times resulting from Chinook winds blowing eastward from the Pacific Ocean during winter. These winds have been known to raise the temperature by 15°C (27°F) or more in just few hours and it can last for a number of days. 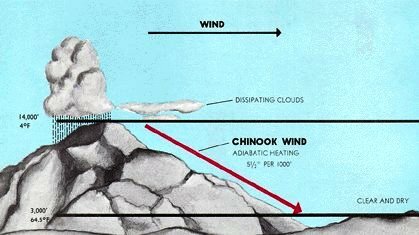 You can say Chinooks are a sort of trademark of winter season so much so that only one month (January 1950) has been unsuccessful to observe a thaw more in than over 100 years of Calgary Canada weather observation. Wow! Just imagine that. Calgary is marked by temperature extremes. We've recorded a low of -45°C in 1893 and as high as 36°C in 1919. Normally, summer daytime highs in Calgary reach 30°C about five days each year and extremely cold winter periods don't linger as long as they do in other prairie localities. What about average temperatures? The temperature in January averages -9°C and the July daily average of temperature is around 16°C, day and night combined. Summer evenings anywhere in Calgary can be enjoyably cool but frost can occur during any month. Very rarely in June, July and August, though. On the plus side, Calgary holds the record for being one of the sunniest places in Canada to with a mean of 2,405 sunny hours per year. We see around 20 thunderstorms in a typical summer and almost none otherwise. Nearly always in the afternoon or evening. Calgary can also expect severe hailstorms from time to time as it lies on the edge of Alberta's hailstorm alley. Here's an example of severe Calgary Canada weather. From an insurance claims point of view, Canada's most destructive natural disaster happened in Calgary and it was a hailstorm in September 1991. Well, that should be about all the Calgary weather anybody should need.